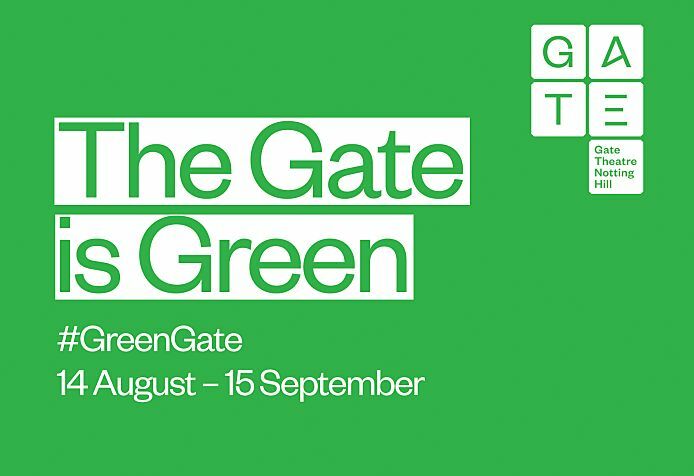 The Gate is Green is a four week campaign about imagining a positive future. We hope that our green initiatives will encourage staff, companies, creative teams and audiences to consider their impact on the environment. We want our campaign to inspire new ways of thinking about your own environmental impact, and how you might make personal, positive change. This is an experiment looking at some of the changes we can make in our daily lives – enabling us to come together not just as individuals, but as a community focused on environmental sustainability. Together we can find inspiration, ask questions and feel good about the future. We’re going to be sharing ideas and art on sustainability which we hope will inspire our thinking about imagining a positive future. We’re going to be sharing vegetarian and vegan food to encourage us to make effective personal choices that can make a positive impact on our own carbon footprint. We hope that communal eating will increase office wellbeing. During this week, all staff will be collecting our waste on our desk so we can see the immediate impact of our choices, and ask us to think more about how (and why) we might make sustainable choices. In our final week, we will be sharing books, clothes and food to remind us that our power lies in working together, and not as individual consumers. We will keep you posted on social media about how we all do, and we encourage you to join us. Array (  => Array ( [id] => 179 [created] => 1502702880 [updated] => 1502702880 [ordering_count] => 170 [intro] => The Gate is Green is a four week campaign about imagining a positive future. [title] => The Gate is Green [slug] => the-gate-is-green [category_id] => 17 [body] => The Gate is Green is a four week campaign about imagining a positive future.